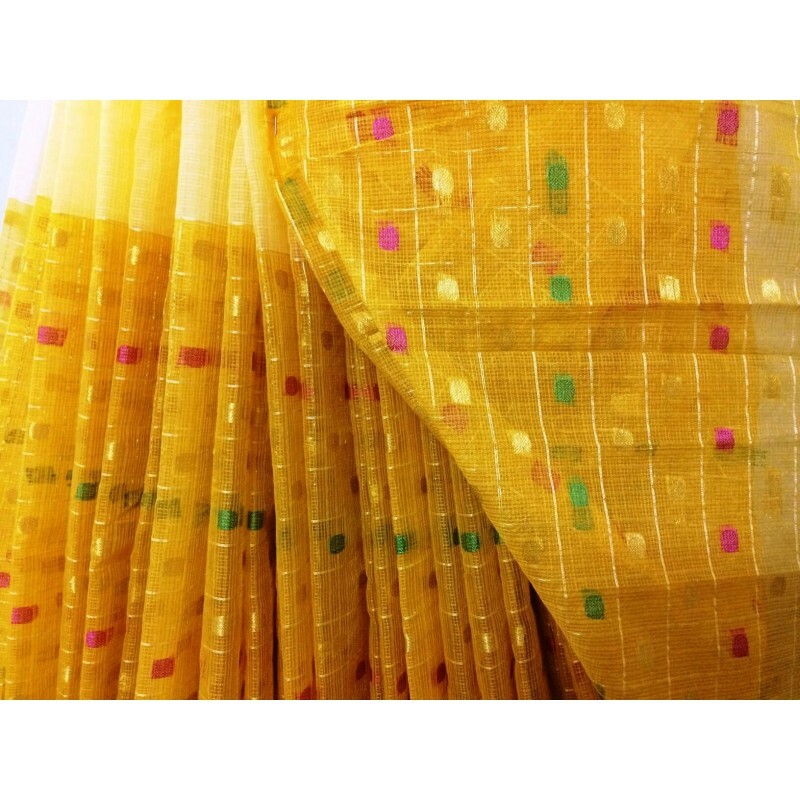 This cotton kota half half contrast saree with flower pattern gold zari brocade makes an adorable statement in this stylish six colors. 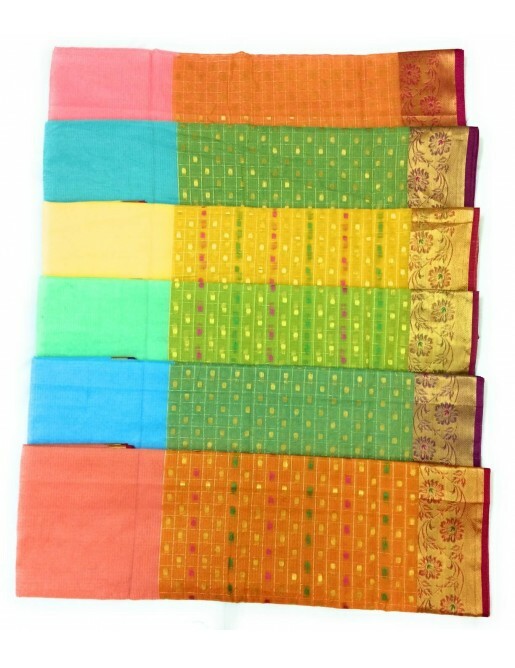 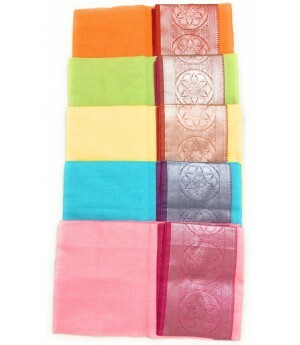 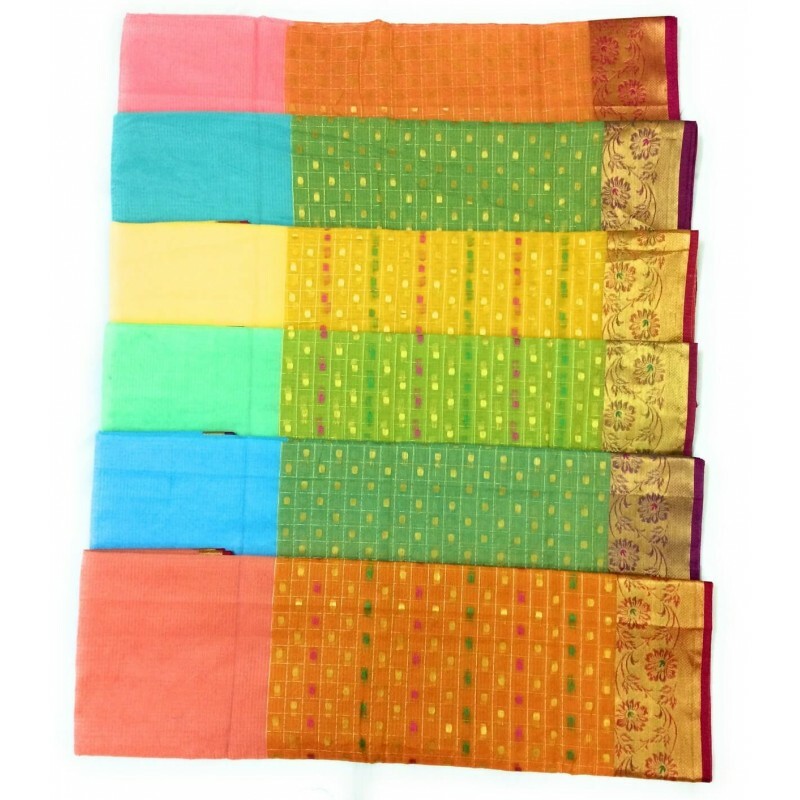 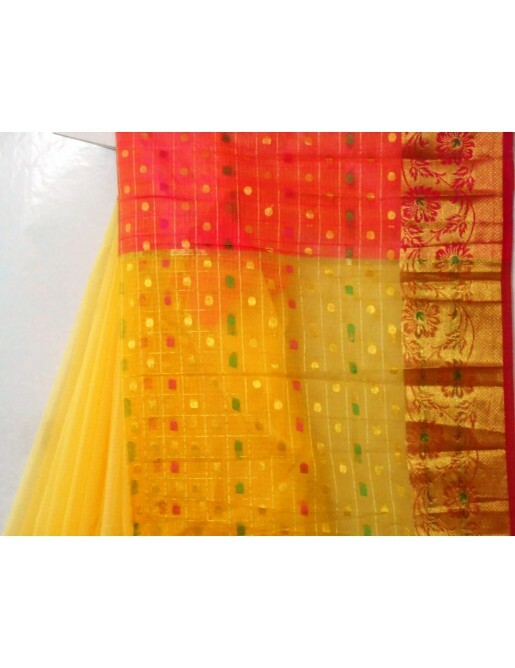 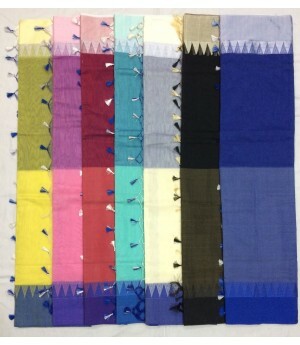 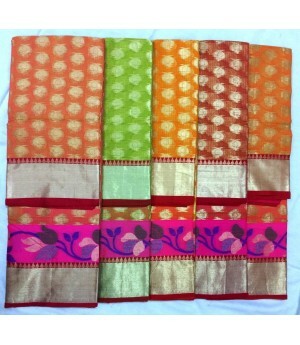 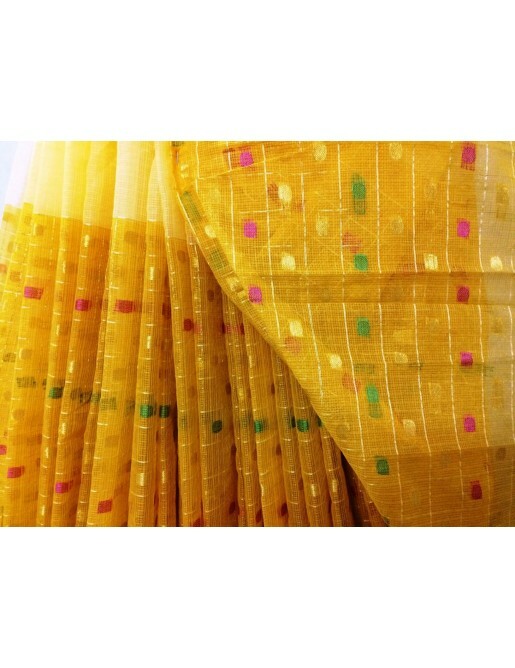 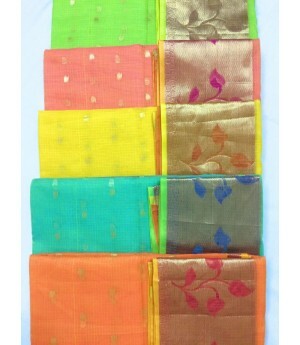 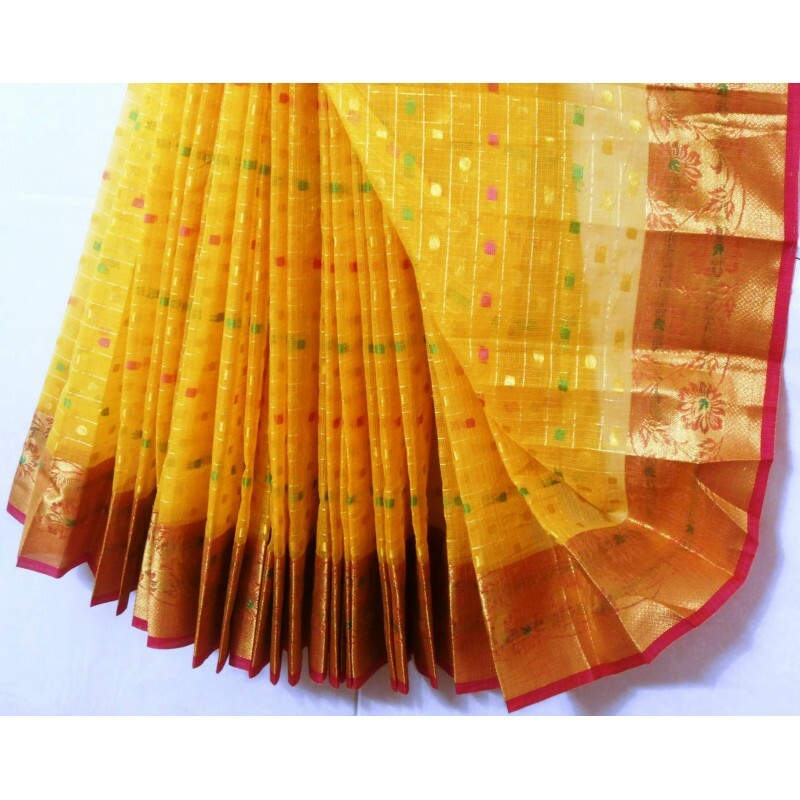 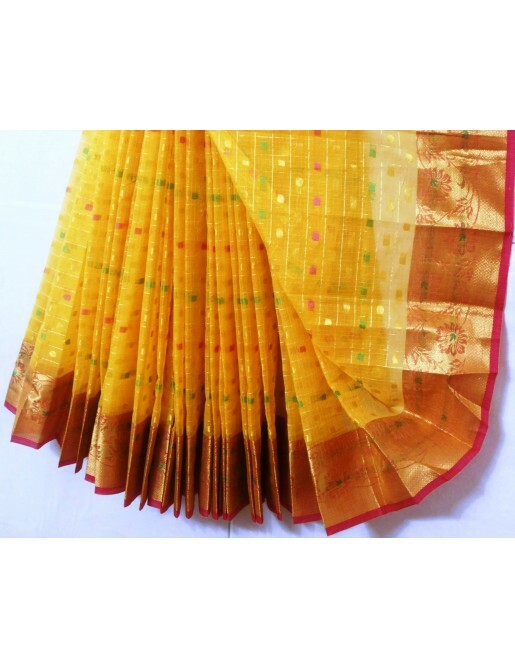 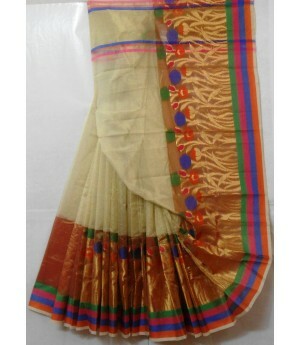 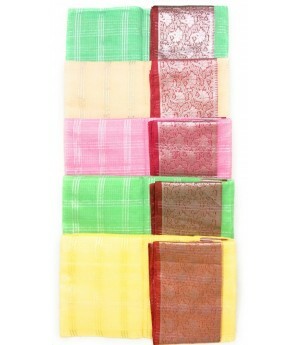 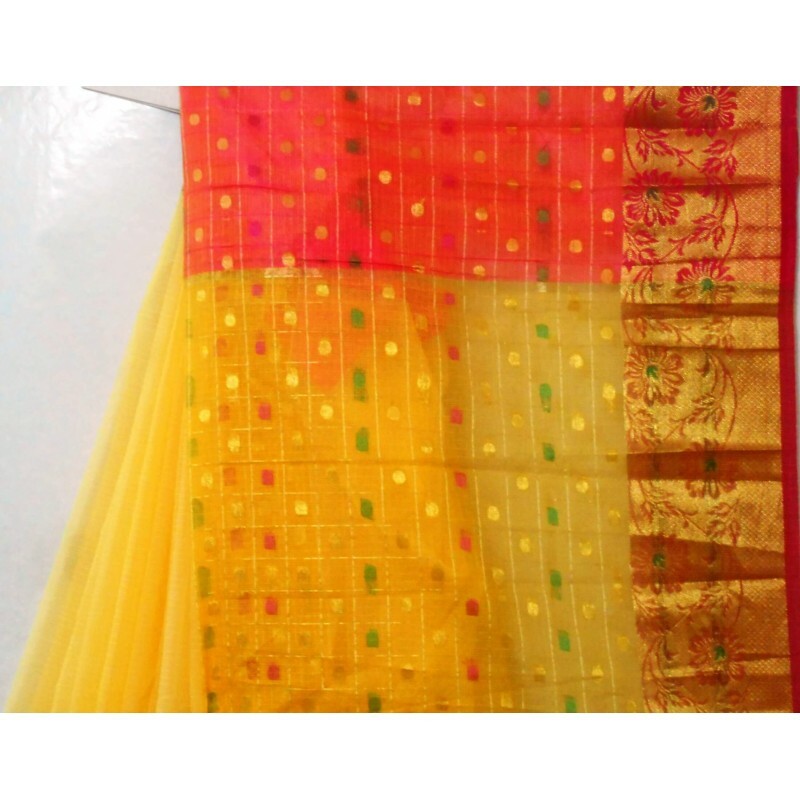 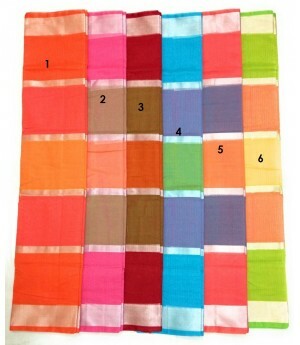 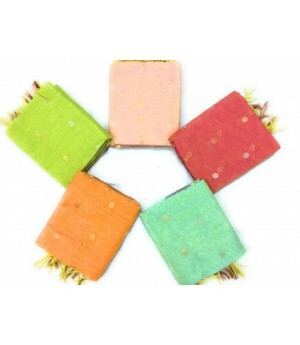 The saree is made of cotton kota beautified with beautiful woven checks. 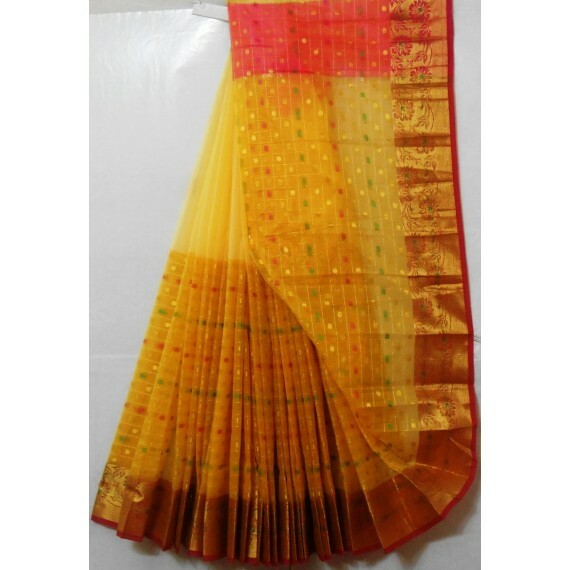 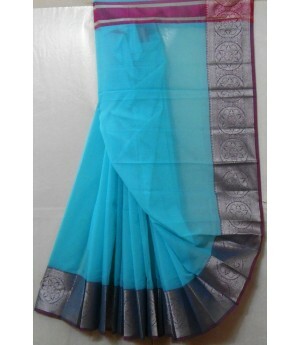 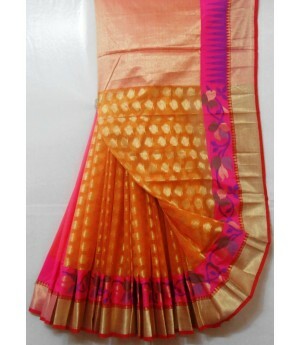 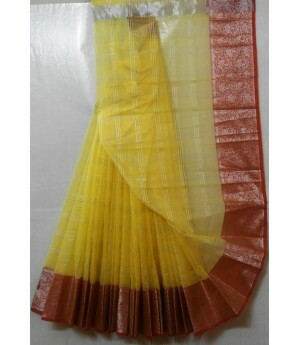 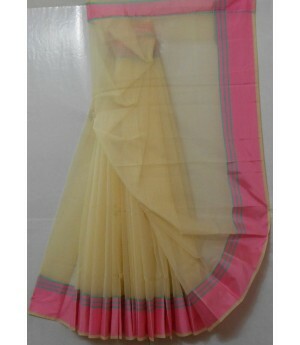 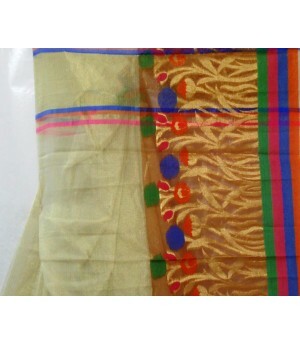 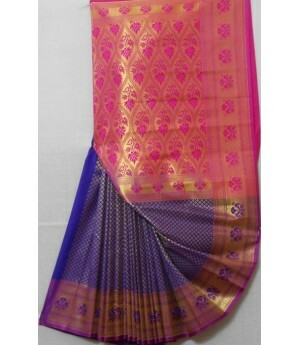 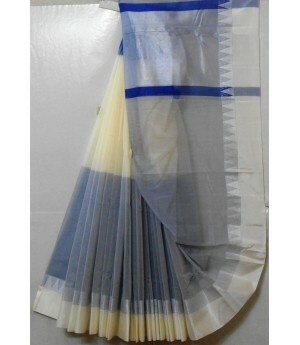 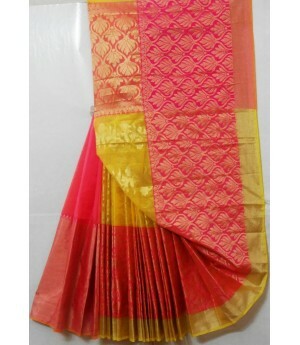 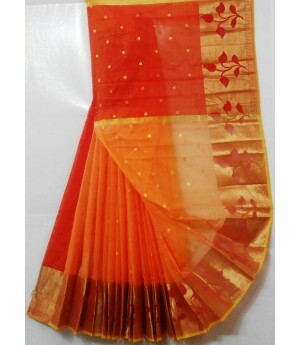 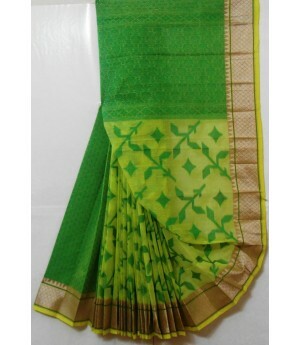 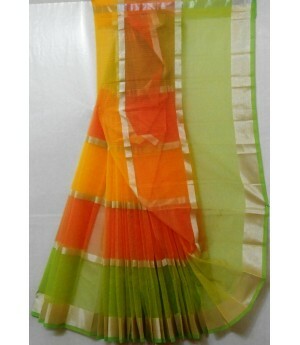 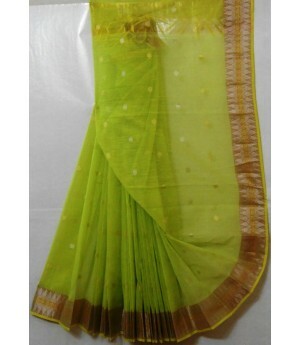 This saree comes with unstitched running blouse piece.